Want to Buy a Bible? ISRAEL’S FIRST PRESIDENT supported a Jewish group’s plans to murder Germans immediately after World War II, according to the man who led the avengers. Details of the plan, which included poisoning bread at a bakery, were unveiled by Lithuanian-born Joseph Harmatz, 73, in an interview published in 1998 in the British newspaper the Observer. Harmatz, who lost two brothers in the Holocaust, led an organization — Din, or Judgment — made up of survivors of the Vilna Ghetto. Their objective: the deaths of 6 million Germans as vengeance for the Jews who died in the Holocaust. The idea for the organization apparently came from the poet Abba Kovner — a leader of the Lithuanian partisans who is credited with describing Jews as “being led like lambs to the slaughter” — and Vitka, his partisan girlfriend and later his wife. As a first step, Kovner was sent to Tel Aviv to win the support of the Jewish leaders in pre-state Israel for a plan to poison Germans. David Ben-Gurion, then head of the Jewish Agency and later Israel’s first prime minister, was appalled by the idea and was worried that it would prejudice the chance of establishing a state. 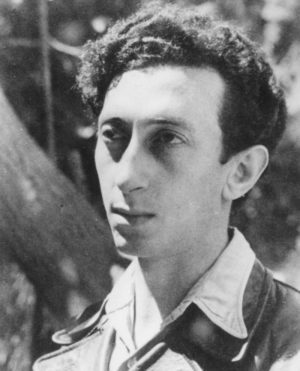 Zalman Shazar, who later became Israel’s third president, was also hostile to the plan. Harmatz, who from 1960 to 1994 headed the World ORT network of Jewish-sponsored vocational institutions, said, “His idea of revenge was the reparations that Israel would later exact” from Germany. But Israeli President Chaim Weizmann was more receptive. “He approved of our plans,” Harmatz said, “and recommended a scientist who would make a poison for us.” The scientist worked at the Sieff Institute in Rehovot — later renamed the Weizmann Institute. But Harmatz agreed with the Observer interviewer that the “elder” was actually Weizmann and that the Zionist leader was integral to Din’s operation. Kovner told Weizmann the group was planning to poison a few thousand loaves of bread intended for former SS guards who were being held at the jails and concentration camps where they had served during the war. The story was only partly true — that was a backup plan. Din also wanted to poison the water supply of the German city of Nuremberg. But Harmatz said he did not tell Weizmann about this plan because “we did not want to frighten” him. Eventually, the Rehovot professor recommended by Weizmann produced an odorless, colorless substance that he said was enough to poison one night’s production of bread at the bakery that supplied four prisons and concentration camps, including Dachau. But Kovner did not make it back to Europe with his lethal cargo. Returning to Europe on a British ship, Kovner was arrested by British police, who apparently knew of the plot. The poison, concealed in condensed milk cans in Kovner’s cabin, was thrown overboard by other members of the group, but Kovner was arrested and sent to an Egyptian jail. Harmatz took over the Din leadership. 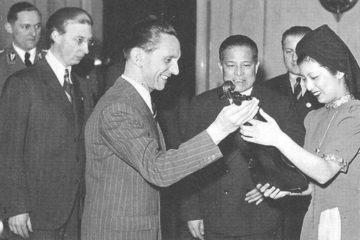 To this day, he is uncertain who betrayed the plan, but suspects that it was members of the Zionist leadership who he believes feared that Din’s success would jeopardize their hopes for statehood. With their stocks of Rehovot poison lying at the bottom of the Mediterranean, Harmatz abandoned the idea of poisoning Nuremberg’s water supply. The group acquired a small quantity of arsenic and reverted to the more modest bread-poisoning plan. One Saturday night in April 1945, members of Din broke into the Stalag 13 camp at Nuremberg and, with an artist’s brush, Harmatz painted 3,000 loaves of black bread with poison. The plan called for them to move to Czechoslovakia. But it was only partially successful: They made it into the country, but the poison was not as strong as expected. Only about 300 to 400 former guards at National Socialist jails and concentration camps were killed, according to Harmatz. Soon thereafter, the organization called off its plans. The head of the research institute at the Yad Vashem museum in Jerusalem cast doubts on Harmatz’s recollection of events. 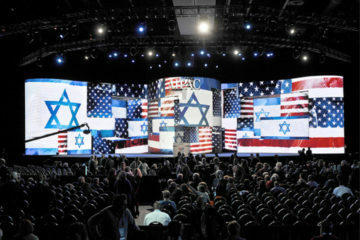 After the state was established, Harmatz decided the burden of retribution had passed to Israel’s new leaders, and he declined Kovner’s appeals to launch a fresh revenge attempt. Kovner followed his lead and gave up dreams of vengeance, becoming one of the great poets of the new state. He died some 10 years ago. 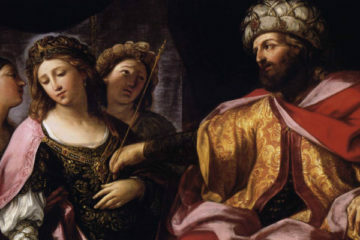 Harmatz eventually settled in Israel. He studied law and then ran the Israeli end of a French shipping line. 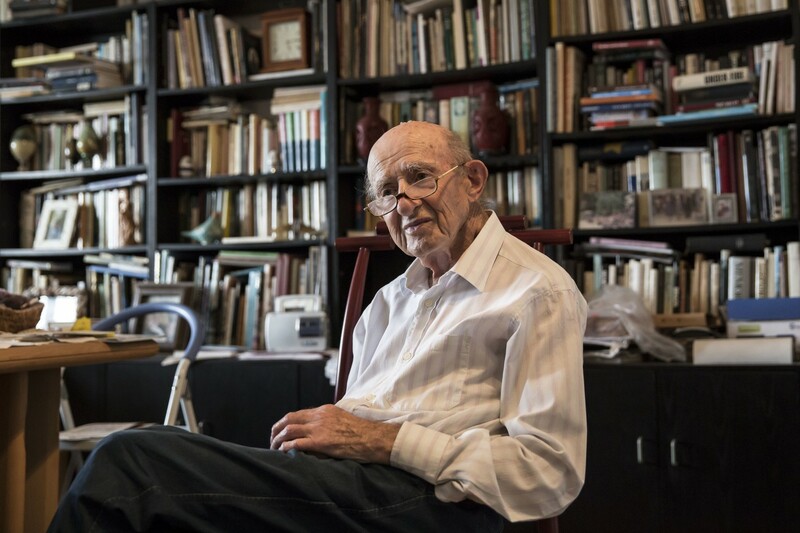 Harmatz lived out the remainder of his long life, respected and honored by his fellow Jews, in a suburb of Tel Aviv. His only regret is that he didn’t kill enough Germans. When Harmatz died in Israel at the age of 91 last September, the Washington Post gave him a long, respectful, almost exculpatory obituary. Dr. Pierce Distances the National Alliance from the "Movement"
Will the Left Devour its Creators?